Sun Health Communities | What does my long-term care insurance cover and is it enough? What does my long-term care insurance cover and is it enough? Insurance policies tend to be complex, rife with limitations and exclusions, and long-term care insurance is no different. Many people purchased their policy many years ago and even those who have recently purchased their policy are often unsure about their coverage. 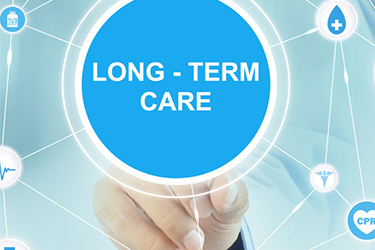 The most frequently asked questions about long-term care insurance continue to be: What does my long-term care insurance (LTCI) policy cover? Is there an inflation rider? Are there gaps that I should be concerned about? Are there caps on services and benefits? What do i do if I don’t have or cannot get a policy? If I don’t have a policy, should I consider a continuing care at home (CCaH) plan? Could a CCaH plan enhance or replace my existing policy? “It’s so important to understand what your policy covers, and address any gaps and limitations before care is needed,” says Joshua Freegard, Membership Counselor at Sun Health at Home. “Cost of care during the waiting period can easily be $20,000 – $30,000 during that three- to four-month period, quickly followed by deductibles, copays and excluded service fees. This can come as quite a shock to the policyholder, who is expecting their long-term care insurance to pay for services needed. Arizona now averages around $7,000 per month for skilled care and when someone comes in to see Joshua with concerns about their financial future, a detailed review of their existing policy is the first step. During this review, Josh looks at gaps and exclusions, daily coverage limits, maximum coverage for the policy, waiting periods and any other details that will impact the policyholder when care is needed. Once someone reviews the policy during the initial purchase and selects their personal coverage options to manage the cost of the policy, it’s not uncommon for the policyholder to let the insurance run for decades without review. When they need the policy and take a close look at coverage, they’re surprised. A decision that seemed smart and financially prudent twenty years ago is suddenly lacking when compared to the costs of care in today’s healthcare environment. Perhaps the policy was purchased by a spouse who is no longer living and the surviving spouse has little information to go on. It’s common for active adults to come to Sun Health at Home when their LTCI premiums are increased. As an example, a recent client reported a policy increase from $6,300 per month to an eyebrow-raising $14,000. This increase motivated her to seek alternative options for long-term care coverage. Details from the review of coverage are then compared to a few specific questions Freegard asks. How does the policy care for them financially? Understanding the costs they are responsible for is important. If the daily coverage limit of the LTCI policy is $100 without an inflation rider, but the cost of care today averages $233, that gap is significant. Where will that care take place? Many policies specify a facility. If they have coverage for services provided at home, is it sufficient for services required to remain home? How long will they have to wait for coverage? Often coverage requires physician documentation that they’re unable to perform at least three out of five activities of daily living. Approval of the physician’s order to define the need then triggers the waiting period to begin. How long will the policy pay? Is it two years? Three years? Six years? Comparing this to certain care scenarios and average lengths of stay in assisted living or memory care helps the policyholder understand their financial obligations more clearly. These questions create a realistic scenario to determine if coverage is enough, or if the “gaps and caps” are cause for concern. If not, the review leaves the policyholder reassured their coverage is comprehensive, but if it IS worrisome, it sets the stage for a conversation about continuing care at home and the Sun Health at Home membership plan options. How does Sun Health at Home fill the gap? With no waiting period, no limitations on coverage and no physician orders required, the continuing care at home plan is able to provide immediate care. Custodial care that a LTCI policy isn’t designed to handle is included,too, such as memory care for an Alzheimer’s patient. Depending on the plan provided, that unlimited care may be completely paid for by the CCaH provider, too…. Even if around-the-clock memory care is needed for the next twenty years. For those interested in protecting their assets from future costs of long-term care, or a no-obligation review of their existing LTCI policy with Joshua Freegard, please contact us today at (623) 227-HOME (4663). Continuing care at home plans combine a proactive independent living lifestyle in your own home with resources to obtain and pay for long-term care, should it become eventually necessary. Even if you move or travel, the plan follows you. To learn more, attend an upcoming discovery seminar near you. Sun Health at Home is the first CCaH program in the southwestern United States and the only one available in Arizona.